Do you like to drink tea? Have you ever had a flower tea? We suppose you probably have, because there are so many wonderful teas with calendula, chamomile, and other botanicals available at the grocery store. But, have you ever made your own tea out of fresh flowers? We have, and it’s divine. We’re going to tell you about a few flowers that you can use to make delicious, and healing, hot and cold teas. Here are the flowers that you’ll want to choose when you’re turning flowers into tea, and the following are some ways that you can enjoy your tasty teas. 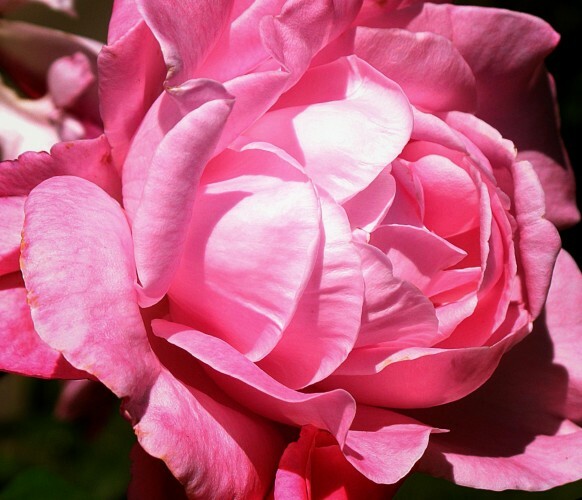 you want to make a rose petal tea, make sure you pick the most fragrant blooms you can find. It doesn’t matter what color they are. Just find roses that smell great and are fresh. We tend to think pink or red roses look the prettiest in teas, but you can choose the color of roses you like best. When you make rose petal tea, your beverage will likely taste exactly like the rose’s fragrance. A bit sweet, a little tangy, and a lot rosy. To make rose petal tea, wash your petals and cut off the white bases. Simmer one cup of rose petals in one and a half cups of water, for about five minutes. Then, strain out the petals, add a bit of sweetener, and drink. Rose petal tea is full of vitamin C, so it will help your immune system stay strong. Hibiscus Tea is a popular beverage in Jamaica and in the Caribbean. It offers a floral taste that’s simply amazing. Sweet, rich, and exotic. If you want to make Hibiscus Tea, chop up hibiscus flowers and pour one cup of boiling water over 2 tablespoons of chopped flowers. Allow your tea to steep for about five minutes. Serve it hot with sweetener, or sweeten it and then chill it for an iced drink. Hibiscus tea, when brewed, is a beautiful pink-purple color. Many people in China, and in other Asian countries, consume chrysanthemum tea. You can usually find this tea, in dried form, in Asian grocery stores and it’s almost always available somewhere online. But, you can make your own chrysanthemum tea with fresh chrysanthemum flowers. You’ll want to choose chrysanthemums with the most vibrant yellow petals. These are said to be the most sweet smelling and sweet tasting. As with other flower teas, you’ll steep about 2 tablespoons of your flower petals in one cup of hot water for about five minutes. Chrysanthemum tea is delicious sweetened and even with a bit of almond milk added to it. This tea is thought to offer many health benefits. We think making one of these floral teas sounds like a fun weekend project. Imagine curling up on a chilly Saturday night with a cup of your homemade tea in hand. Or, sitting by the pool on a Sunday afternoon sipping one of your iced handcrafted creations. If you have some ideas that you’d like to share with us for using flowers to make tea, feel free to drop us a note in the comments below. We’d love to hear from you. Do you like to drink tea? Have you ever had a flower tea? We suppose you probably have, because there are so many wonderful teas with calendula, chamomile, and other botanicals available at the grocery store. But, have you ever made your own tea out of fresh flowers?We have, and it’s divine. We’re going to tell you about a few flowers that you can use to make delicious, and healing, hot and cold teas. Flowers for Healing What to do with Leftover Valentines Day Rose Petals Hibiscus to Celebrate Hawaii’s Statehood Which Cut Flowers Last The Longest?